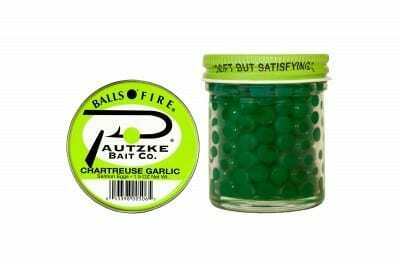 The Guide’s Choice for tying spawn sacks in the Great Lakes, British Columbia and Canada’s Lake Ontario, Pautzke’s Natural Deluxe are one of our most versatile eggs. The No. 1 egg that resembles natural spawn, Natural Deluxe are similar to brown trout, rainbow trout and steelhead eggs. They are aimed at catching more fish with an unparalleled natural presentation. Dynamite when faced with clear and low water, Natural Deluxe are the world’s most effective egg for finicky trout and steelhead. 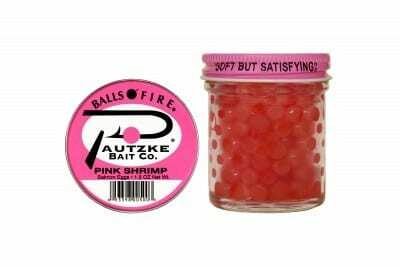 Part of our world famous Balls o’ Fire lineup, Natural Deluxe are similar to Yellow Jackets and Orange Deluxe salmon eggs as they strive to retain characteristics of natural colored eggs found in lakes, streams and reservoirs in North and South America and Europe. Natural Deluxe maintain a natural, almost white tint to them and come swollen with secret juices trout and steelhead can’t defy. Whereas our red salmon eggs have been the staple for more than 75 years, natural colored eggs have gained popularity in today’s market where anglers are trying new combinations of colors to overcome increased fishing pressure and master adverse water conditions. Natural Deluxe are applicable in canals, ponds, streams, rivers, brooks, creeks and anywhere else trout, salmon or steelhead are found.